Our Mandarin location is at 10601 San Jose Blvd Unit 206, Jacksonville, FL 32257. The Mandarin office is located right off 295 and San Jose Blvd in the Whole Foods Plaza, next to Office Depot. The staff at Mandarin cannot wait to help you achieve your weight loss goals! The clients range from 8 years old to 88 years old, many come in with lots of health conditions including high blood pressure, diabetes, high cholesterol and more – the staff says their favorite part of the job is seeing their clients get healthy and come off of all of their medications! The clients are all experiencing a better quality of life as they have so much more energy to play with their children and grandchildren! 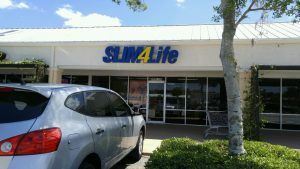 Make an appointment at our Mandarin weight loss center today!